To fall properly without getting hurt is a learned movement and requires time and practice. 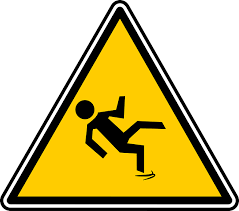 Falling happens fast and is scary but it can be controlled free from injury. You learn how to fall landing with your whole body not just using your hand or elbow or hip or hitting your head. There are 4 basic types of falls: front falls, back falls, side falls, and rolling falls. With all of these falls you learn how to tuck your head and disperse the force of the fall throughout your whole body not just a pinpointed part. Learning to fall also helps to strengthen your core and improve your balance. I have had many students and clients over the years come and tell about a falling experience and how important it was to learn this art. Proper falling can begin at any age.